Taxation in leu of gains from trading or investing in shares is somewhat complex. SAS Online has made an attempt to simplify it for the taxpayers. Before you can figure out how much to shell off as the tax you must first decide whether you are a trader or an investor. If you buy stocks with an intention to earn from dividends then you are an investor. A trader buys stocks to profit from price rises. If a listed security is held for less than 12 months and then sold, the consequent gain/loss is considered to be short-term capital gain/loss. If the holding period is above 12 months, long-term capital gain/loss arises. Intra-day trading or same day buying and selling of any share is interpreted as speculation income.It involves no actual deliveries of stocks. Trader can gain or lose. Loss can only be offset against speculative gains. Income from trading F&O(futures and options), intraday as also overnight, on all the exchanges is considered as non-speculative business income. An audit is mandatory if you have business income and the yearly business turnover crosses Rs. 1 crore. For digital transactions, this limit is Rs 2 crores. All equity transactions are digital. For equity traders, an audit is mandatory(sec 44AD)where turnover is below Rs.2 crores but profits are lower than 6% of the turnover and total income exceeds minimum exemption limit. If you are a salaried employee trading in stocks, the form you use for filing income tax returns will depend upon the instrument, frequency and volume of trade. ITR-4 – for income from business and profession. An individual who takes delivery of all the stocks can fill ITR-2 where he can show the gains and losses made. ITR-4 filing is mandatory for those who trade in the F&O segment (you can do trading via SOSOnline platform). For an investor, only the profit resulting from a securities sale is taxable in his hands. A tax rate of 15% applies on short-term gains on which Securities Transaction Tax (STT) has been charged. Long-term gains are tax exempted. The IT Act does not allow for the deduction of STT while calculating gains in the hands of an investor. For a trader, income from the transaction of securities is taxable as business income. He can claim the deduction for expenses (including trading expenses, the internet, phone, advisory fee etc) incurred relates to the trading activities provided these have documentary evidence. Both speculative and non-speculative business income must be added to your total income including salary, other business income, bank interest, rental income, etc.Taxes will be paid as per your tax slab. Loss from F&O can be set off against income except salary else can be carried forward for 8 years. Loss from intraday equity trading can’t be offset against any other income but can be carried forward for next 4 years and offset against speculative gains. Let’s know how we can help you in this. Drop your comment in below comment box and we will get back to you soon. Thanks for giving this useful information.. Thanks for it. We are trying our best to bring the best articles. Stay connected! Short Term gains are taxed at 15% irrespective of which slab you fall into . However if other income excluding this short- term capital gains is less than basic exemption limit, you will be entitled to take the benefit of such shortfall in the basic exemption limit while calculating your tax liability. Further In case your taxable income including STCG is below exemption limit then you are not liable to any tax. Where can we get our profit loss statement or total turnover in SAS online account? You can take all details from our support team support@sasonline.in while mailing these details. You can drop an email to support@sasonline.in and the team will guide you in better way. I am an Individual who is buying and selling stocks on a greater tha 1 day holding period. It is my understanding that I fall under the %15 short term Cap Gains bracket. Am I entitled to deduct STT, Brokerage and other expenses from my Income to arrive at my Nett Profit which will be taxable at 15% or is my Gross income taxable at 15%? Please help resolve this ambiguity in your direction above. Thanks. what taxes levies on commodity trading? Commodity Trading is considered non speculative business income and taxed as per slab . Further you may account for trading and other expenses while calculating income from Commodity Trading. Brief, simple and useful- thanks! Thanks Sachin for your positive comment. stay connected! Thanks Ajay for your positive feedback. stay connected! I fall under the category on non-spculative (Future & option). I have not understood the calculation of turn over. I assume turn over is summation of profit or loss for the year. In the example given there is loss of Rs.7500 in future and profit of Rs. 750 so turn over should be -6750. where as you are showing 9750. Please explain. whether, I can carry forward my losses to subsequent years. very very useful info. Didn’t know about this turnover part. Thank you very much. Thanks Abhijit for your appreciation, We will keep updating with more articles. Stay tuned! 1. Can I report STCG as 17,900/- (since STT is paid)? 2. Since the speculative amt is loss, can I show only 18,000 in STCG? 3. I don’t have salary income, nor business of my own. Can I file ITR2?. Request you to provide clarification. Thanks for your help. Thanks for your positive feedback. stay connected! Speculative (Intraday Trading Turnover) is to be calculated as Sum of +ive and -ive differences as explained. So what is turnover: As you Explained in RIL example, It is 2000-400=1600. or Should I calculate it as : 2000+400=2400. as per example I found on caclubindia website. Here “Turnover” is to be calculated as Total of differece between Sale & Purchase Transations, be it positive or negative figures. It means if you have incurred a Loss ( negative difference between Sale & Purchase Transactions ) of Rs. 40 Lacs & Profit ( positive difference between Sale & Purchase Transactions ) of Rs. 60 Lacs, then your total Turnover for deciding whether your are liable to get books audited under Section 44AB is Rs. 1 Crore. ( Rs. 40 Lacs Loss + Rs. 60 Lacs Profit ). Your most welcome Sandeep. Keep reading, more articles to come, Stay connected! Most welcome Avinash, Stay connected. Very useful info esp for F&O traders where confusion with regard to calculation of turnover and audit requirement persists. Very good information from SAS,. Thank for the same. A good article. I would like to know in which section the redemption of Elss fund after 3 years(no tax) is entered while filing tax returns? Thanks for appreciation. for the rest you need to consult to your CA for this. DEAR SIR, YOU KEEP ALL OUR TRANSACTIONS NOTED IN YOUR BACK OFFICE. WILL IT BE POSSIBLE FOR YOU TO PROVIDE US THE FIGURES OF PROFITI/LOSS, YEARLY TURNOVER AS REQUIRED BY THE I.TAX REQUIREMENT LIMIT SO THAT WE MAY TAKE DECISION TO GET OUR ACCOUNT AUDITATED OR NOT BEFORE FILING OUR I.TAX RETURN. PL HELP US IN THIS AREA. THANKS IN ADVANCE. Hi, We are working on it meanwhile Turnover can be calculated from PNL statement shared for Tax Filing in FO segment. Please drop an e-mail to support@sasonline.in on how to download the same. pl clarify the above audit requirements. If my turnover is rs.150 lacs which is below Rs.2 cores and profit is less than 6% of the turnover . In this case shall i require to get my account audited. i have a/c with you ,what are the papers or ledgers required for audit for f&o turnover, under which name did you provide them? Imparting more knowledge for your clients. Great work done. If I do only speculative trading i.e intraday (NOT F&O), still an audit is required? Do I need to use ITR4S or ITR3? What is the pesumptive income I need to show and when it needs to be declared, at the begining of the year? Can you please give example where there is loss of 10000/- in intraday trading? For FNO if the turnover is above 3 crores and loss from FNO is Rs 50000 , Is audit required ? Also are GTC trades considered delivery based or Speculative Assuming GTC trades do not result in actual Delivery at Square off. Thanks for the all help. Hello , Thanks for the information. 46000 Rs for FY 16- 17 so i have to still go for audit ? If the Audit is done , i heard my taxes (even though im in loss ) would be in lakhs …is that true ? GTC is a SASONLINE feature where it gives 5 times margin exposure to buy a stock but the stock isnt delivered into your demat until you pay the rest of the margin money. Only intraday is termed as Speculative as i see your explanation. So GTC will be non – speculative and will come under the category of short term gains i think. Total turn over for future and option = 7500+3000 = 10500. I hope this is correct. thank u sir …very usefull information about tax . Editors at SAS-Online on What is a Bracket Order and how does it work? We empower our customers with insights to SAS Online, Account opening formalities, Brokerage plans, SAS NEST Trader and a lot more. SAS is an online discount brokerage firm offering brokerage services for stocks, future and options on NSE, BSE and MCX . 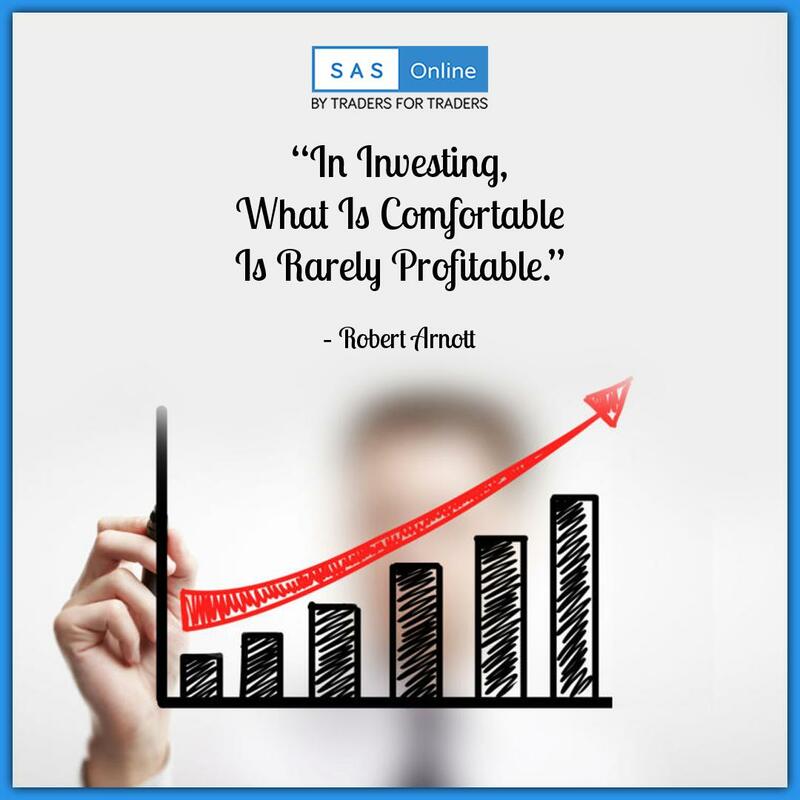 As a venture started “by traders for traders”, we at SAS Online truly make your money count. For any complaints related to South Asian Stocks Ltd email at complaints@sasonline.in. ATTENTION INVESTORS : "KYC is one time exercise while dealing in securities markets - once KYC is done through a SEBI registered intermediary (broker, DP, Mutual Fund etc. ), you need not undergo the same process again when you approach another intermediary". "Prevent Unauthorized Transactions in your demat account: Update your Mobile Number with your Depository Participant. Receive alerts on your Registered Mobile for all debit and other important transactions in your demat account directly from NSDL on the same day". "No need to issue cheques by investors while subscribing to IPO. Just write the bank account number and sign in the application form to authorise your bank to make payment in case of allotment. No worries for refund as the money remains in investor's account". Disclosure of Proprietary Trading : "SASS Online Commodities Pvt Ltd. does proprietary trades in the derivatives segment in MCX".